Moved by request of OP. I decided to start this thread as a continuation of my "LIGHTS" thread, which was lost when the new DAZ3D site took over. I was learning loads of stuff from 3dage and making people want Carrara 8 Pro. :P But yeah, I still have lots to learn. Like, right now, I'm stuck because I'm using a hair cap on V4, but V4 will not go in the hair modeler when I drop the hair icon on the cap. Andy, old buddy, you still out there? Only the cap should show up in the hair modeler. Oh boy, I thought I had this hair growing thing all figured out, but nope. The only thing I figured out was how to make the world's WORST hairstyle. I'm just trying to make a simple long, straight hairstyle, so I just kinda selected the whole cap and hit drape. But since V4 isn't in there for it to fall on, I grabbed the Move tool and started trying to drag points around. Didn't go too well. I use that one a lot! even though I bought lots of PhilW's and other hairs. Janet hair animates better too! Um, Wendy, can you link me to it? Can't seem to find it. What animation did you do with it? So, I grew hair directly on V4, but I have no idea how the other tools work. Actually, they don't seem to do anything. Like the hair cut tool. How do I cut the hair from her face? Maybe you really don't want to see what's underneath all the hair, LOH. I don't use Carrara yet. but Wendy keeps recommending it to me. I'll follow along here and also see if I can pick up your light thread from the archives. My problem with the hair cut tool was that I wasn't clicking the bloody little dots. That's why it didn't seem to work. Stupid moi. uses Daz hair caps, just drag and drop it on the cap. Would it be better to wait until the new Carrara is released? Well, if you're more a Genesis fan, maybe. But if you get Carrara, they say there will be a "small" upgrade fee for C8.5. I'm trying to figure out how to make particle fire and ran into THAT! I feel dumb and boring now. This isn't the kinda fire I want, but it's the only tut I could find. 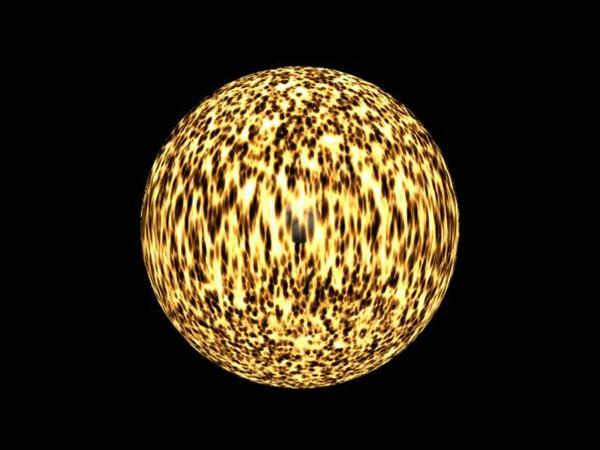 I want a flaming sphere. Geez, I'm having trouble with the tuts in there. I'm getting like the effect it shows in Part 2. My particles seem to just roll out on the floor or something, and I DID set the text as the emitter object. I can't decide if I'm smart or stupid, but I figured it out. Um...WENDY? How do you change tweeners? You select the Gap's between two, or more key-frames, (where the tweeners are), then look on the right hand side ,to the tweeners area, click on the text which says linear or bezier, and you'll get a drop down menu, where you can select a different type of tweener. The Cut tool, when you select it, will show only the Guide hairs (you can add more or remove guide hairs) and the Cut tool will let you click and cut the length of the guide hairs,. Different hair groups also allow you to apply different hair shaders to each group, which can define the colour, but can also be used to shape the hair, by adding Curl, Kink, Frizz, Clump and adjust the length of the hairs, and add variations to all of those. The Guide hairs can either be Brushed into a basic style, or can be individually dragged into a shape, you can also adjust the position of the "Control Point" along the length of the hair, from root to tip, which allows you to brush or drag the guide to shape the hair in different directions at the Mid point, or ends, without effecting the rest of the shape. 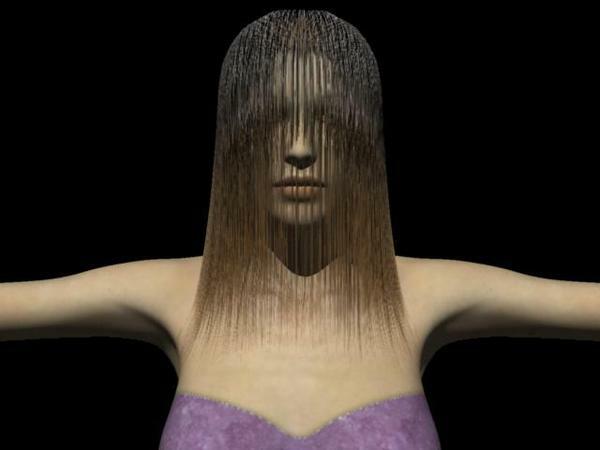 It's a complex tool, and as the Hair shaders can also be used to shape and style the hair, it becomes even more complex. Andy! Gaood to see you here. Hope things are settling down a bit for you. Oh man, I was looking all over the TIMELINE for 'em sneaky tweeners. Never expected them to be right next to my head. Dude, you don't visit my thread and it needs some regular Scotland. It's got regular England, regular America and regular Wales. Needs some regular Scotland. And on a personal level, I miss your insight! Now, back to topic: I am a HUGE fan of Carrara, but also becoming a huge fan of Genesis. Main reason I want my work to be done in DS is because it's got a larger user base than Carrara. I am looking at that tutorial you put up, for fire, and some things don't seem quite right but I can't put my finger on them because my knowledge of Carrara and particles isn't good enough. I am going to start saving some money for when the next incarnation of Carrara is released and I can use Genesis with it. The logo tut left out a few parts that I had to figure out on my own.. 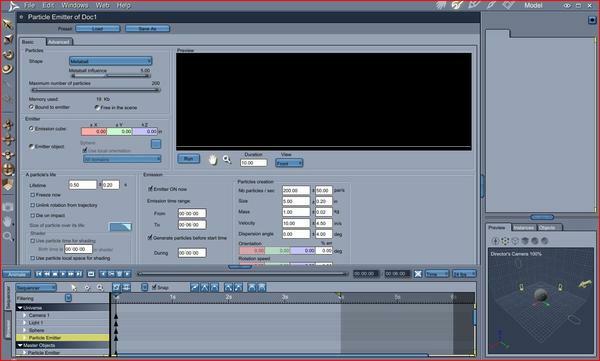 I don't know about the fire tut though, because my friend couldn't finish scripting it for me to understand. Man, I don't get it...yet. Pic 1: I opened a small scene and scaled the timeline to 00:06:00. Then, I inserted a sphere and particle emitter into the scene and put the settings shown in the first screenshot. 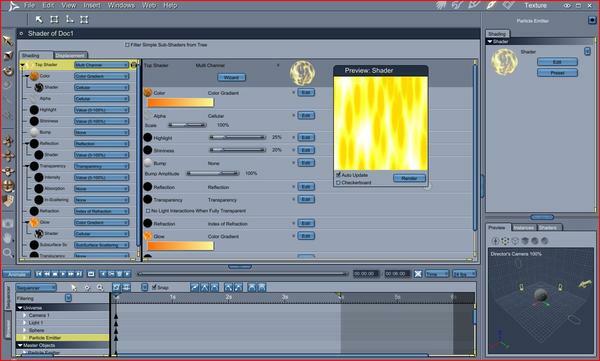 Pic 2: In the shader room, I made the texture from the particle fire video tut. pic 3: I scrubbed forward a bit on the timeline and rendered the frame. This isn't the flickery result I wanted. It just makes a huge flamy ball around my sphere. So,I'm reading about forces in the Carrara manual. I understand a flow force can be used to simulate wind, damping force is like rolling a ball through sand, and torque force is like a spinning fan. But I don't really get directional and point forces. They sound like push and pull, respectively. So what's the difference? 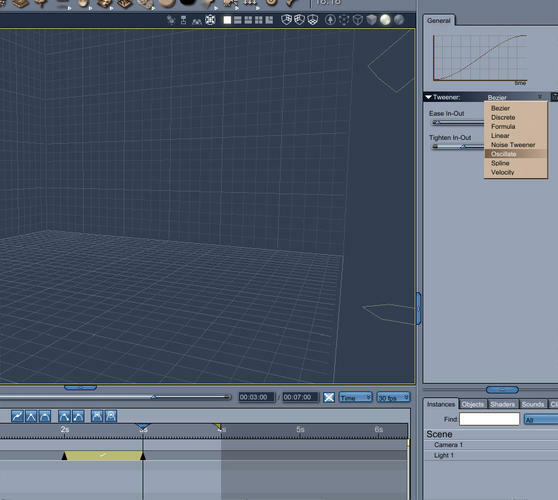 Can't you just put a sphere here, scrub forward and set a key frame? they work with physics and hair! once you start playing with physics! you are addicted! How do you control which way the directional force shoots the sphere? I was trying to make my sphere go splat on the wall, like someone threw mud at it. But all it's doing is going down. Not finding much help either.